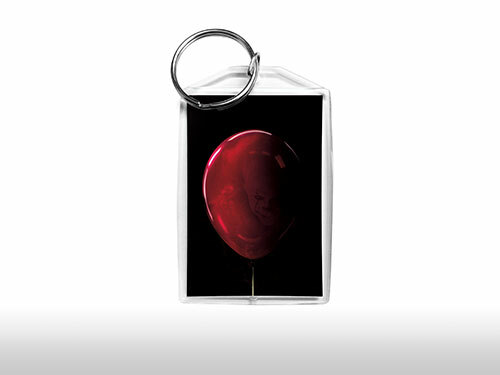 There isn’t a more iconic symbol of Stephen King’s IT than a single red balloon. How could something so simple be so sinister? 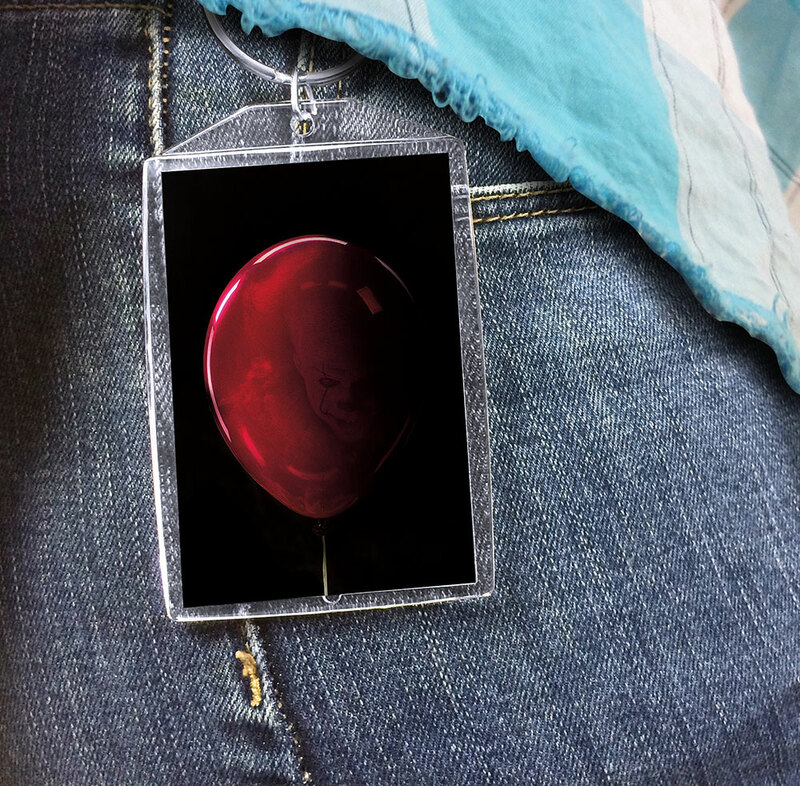 Take a little closer look … in the reflection of the red balloon … You’ll float, too! 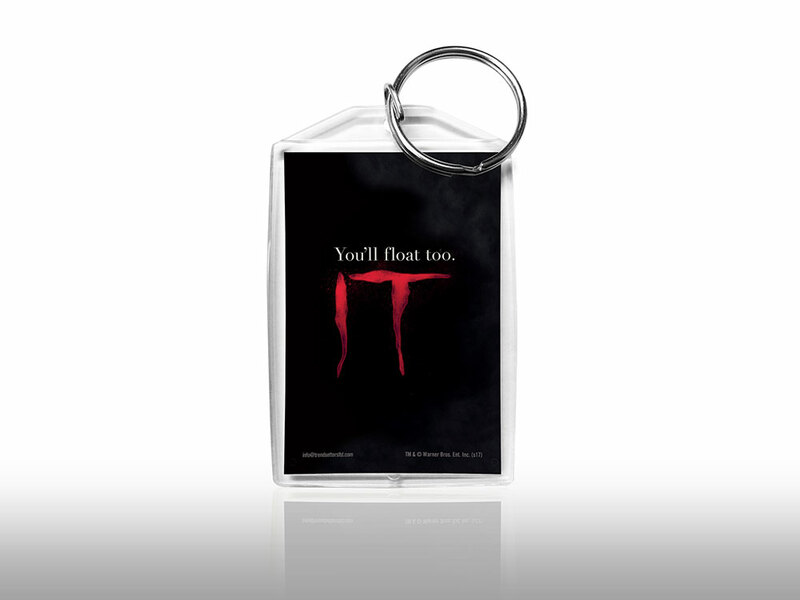 You’ll float, too! Sorry. Cool keychain, right? 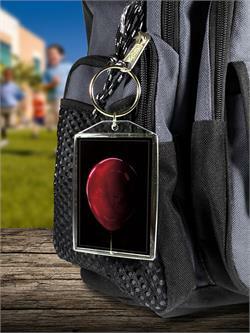 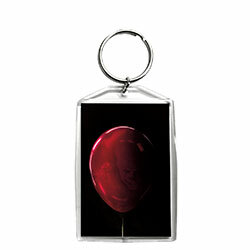 Acrylic Keychains, photo quality collectible prints of licensed artwork placed inside a durable acrylic keychain.